US Army National Guard Spc. 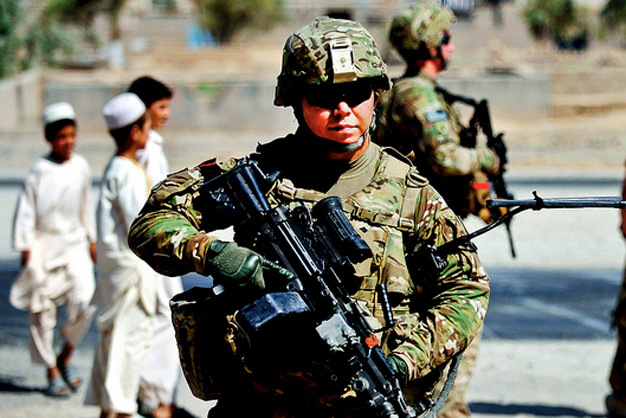 Terry Proud, a Security Force member of Provincial Reconstruction Team Farah, pulls security during a mission in Farah City, Farah province, Afghanistan, on May 12, 2012. PRT members are meeting with locals to gather information and opinions about the living conditions in Farah City. Photo by the US Army.